In a recent interview on Bess 100 fm, brothers, Damion and Howard Hinds announced their intentions to transform the Reggae/Dancehall industry for the better. 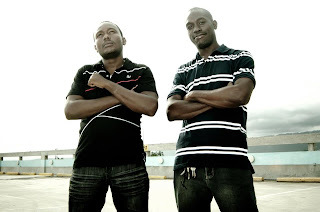 The brothers who hail from the Sea view Gardens community recently released their latest rhythm driven project, entitled Betta Way on their own D’Ave Productions label. Their reason for titling the project Betta Way is their belief that the Reggae/Dancehall industry is riddled with corruption and upcoming artists within the genre is in desperate need of a better way. Some of the points raised by both men were; the length of time it takes for new artists to get a break in this industry. “With rap and other genres every year you see new artists coming on the scene but with our industry you see a new artist get a break maybe every five years”, states Damion Hinds. They went on to say that D’ Ave Production (Detroit Avenue Production) was conceptualized and manifested in May 2010, with the hopes of giving emerging talents that opportunity to get their big break. Most if not all their rhythms will feature young, upcoming artists as oppose to already established ones. D’Ave Production has been having its challenges but the men are bent on attaining success for both themselves and the young artists of Jamaica. Disc Jocks wanting all tracks on the album should contact Maria Jackson at mariajacksonent@gmail.com with all relevant information confirming their status as an active DJ.